Jesebel Rivera-Guerra in Greenfield. Photo by Maranie Staab. 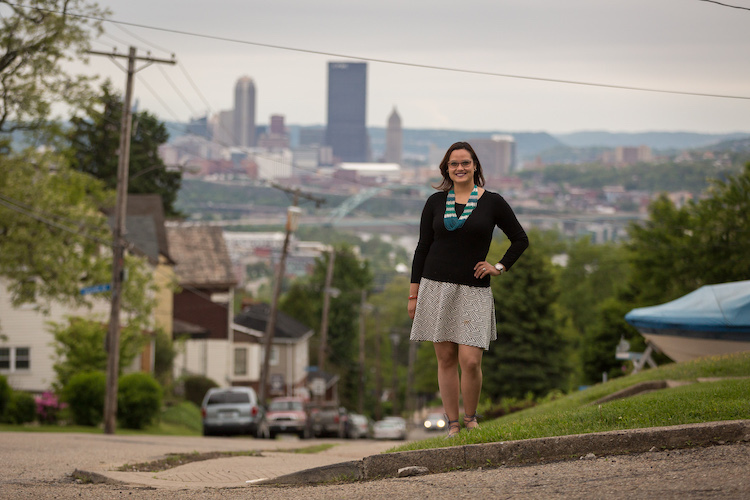 These days, a story like Jamie Sylves’ is hardly uncommon: When the North Braddock native came back to Pittsburgh, needing a neighborhood to call her own, she cast about, found the Strip District, and fell in love. “The Asian and Middle Eastern markets are great,” she says. “So is the bike path right behind our apartment. My husband and I bought bikes to explore it. Like Jamie, these Pittsburghers below have found that changing your location in the city—even if you’ve lived here your whole life—can give you a new perspective on your long-time home. A new neighborhood works its way into your identity. A community for your family is suddenly found. The value of crossing boundaries is discovered. 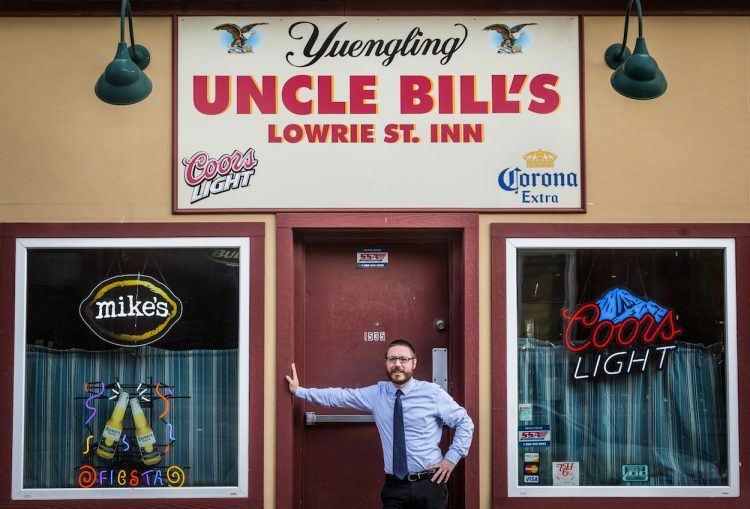 Here are 11 of your neighbors who’ve moved around Pittsburgh and learned unexpected things about the city, and themselves. For Wilkinsburg native Desiree S. Lee, life revolves around walking, being outside and traveling to sunny places like San Diego or Senegal. 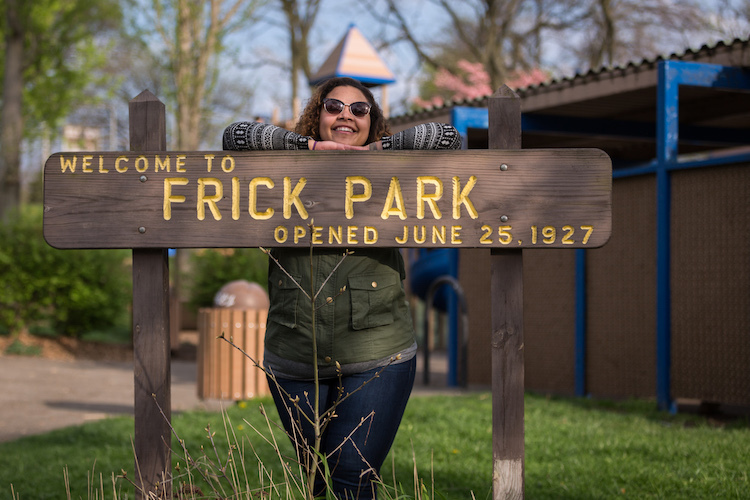 Back home, the Kelly Strayhorn Theater manager of community programs loves Pittsburgh’s character—the hills and trees, the active, thriving arts community, the neighborhoods. Lee also likes Sheraden’s legendary stability. “A lot of houses are still owned by families that have been here 40 years or more,” she says. 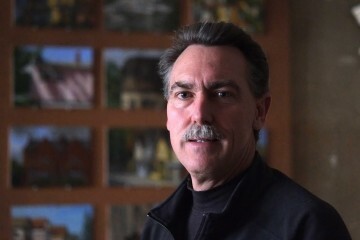 “With so many changes in the city, it’s nice to be where people have ownership in a neighborhood. Where people say good morning, check on the kids, look out for each other on the street. Samantha Hartzman in Frick Park. Photo by Maranie Staab. For retired English teacher, former nonprofit manager and defrocked bookstore owner Mary Alice Gorman, moving to Fifth Avenue was the proverbial no-brainer. East side, west side, all around the town, the Pittsburgh native had lived just about everywhere—South Side Slopes, Morningside, Highland Park. Finally, she sold the empty nest and picked up stakes for Shadyside. “It was time,” she says. After raising her children in Mt. Lebanon, Caffee was ready for something completely different. Something close to Frick Park, where she loves to walk her dog. Close to Pamela’s, where she loves the traditional breakfasts. Close to the East End Food Co-op, where the organics are to die for. 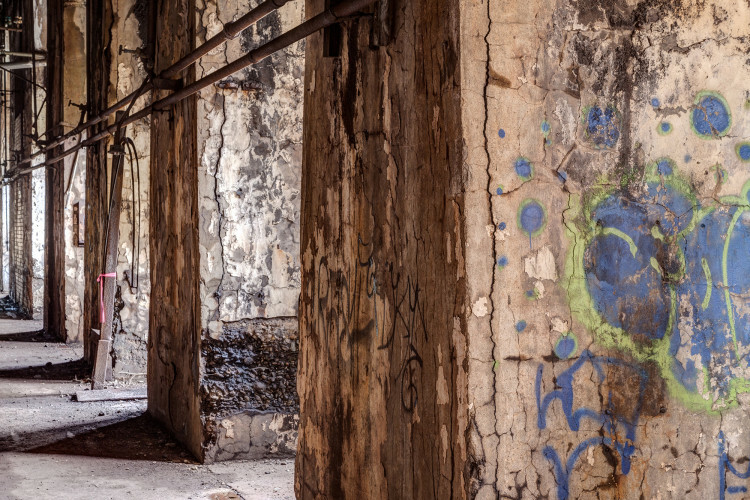 “I looked at rental properties and moved to the intersection of Point Breeze, Regent Square and Wilkinsburg,” she says. Matthew Stidle outside Uncle Bill’s in Troy Hill. Photo by Maranie Staab. For assistant Pittsburgh City Solicitor Matthew Stidle, the trek to Troy Hill was motivated by affordability. Trying Friendship and Lawrenceville (before the arts), he and his wife needed an affordable abode. With both his father and grandfather from Troy Hill, Stidle, who grew up in Mount Oliver, was familiar with it. When a house became available, it was kismet.